The least known of India's States and Union Territories, Lakshadweep is an archipelago of 12 atolls consisting of 36 coral islands. It is a tiny island territory, situated 250-500 kms south-west of the Kerala coast, a mere 32 sq kms in area with a population of more than fifty-one thousand. This detailed study gives a comprehensive account of the strategically situated territory. Besides describing its physical and natural characteristics, the book portrays the life of its colourful and simple people, the history of the island since 1500 B.C., and how modernism and change are fast overtaking this lesser known archipelago. 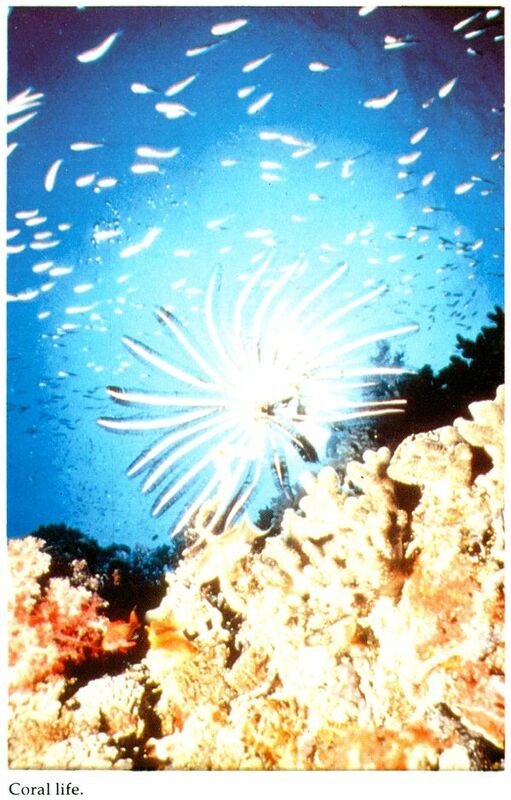 While discussing the science of the coral reefs, the author acquaints the reader with the wide variety of marine life in the blue lagoons, the social and ecomic trends since the last hundred years as also the evolution of the political and administrative structure. Omesh Saigal (b. 1941) is an officer of the Indian Administrative Service, a well-known author and critic with several published works in English and Hindi to his credit. 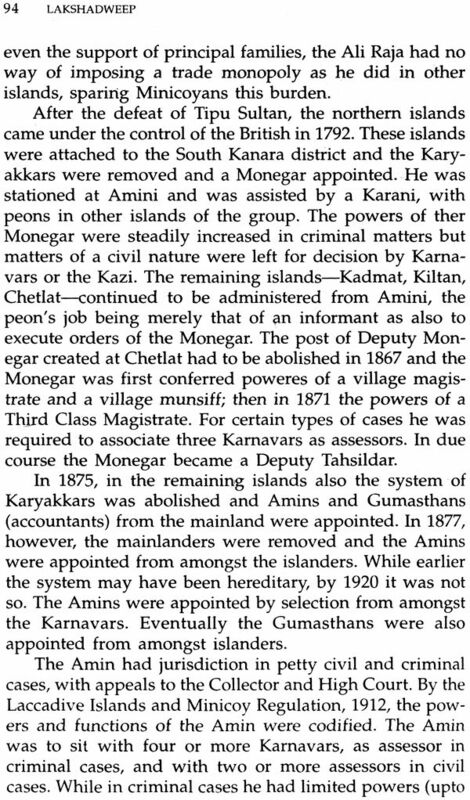 As an administrator in Lakshadweep from 1982 to 1985, Saigal had the opportunity of learning more about this land, its people and their culture. He has written and directed a short documentary film, "The Everlasting Now,' on this beautiful island territory. This apart, he has written several novels, articles, reviews and short stories. 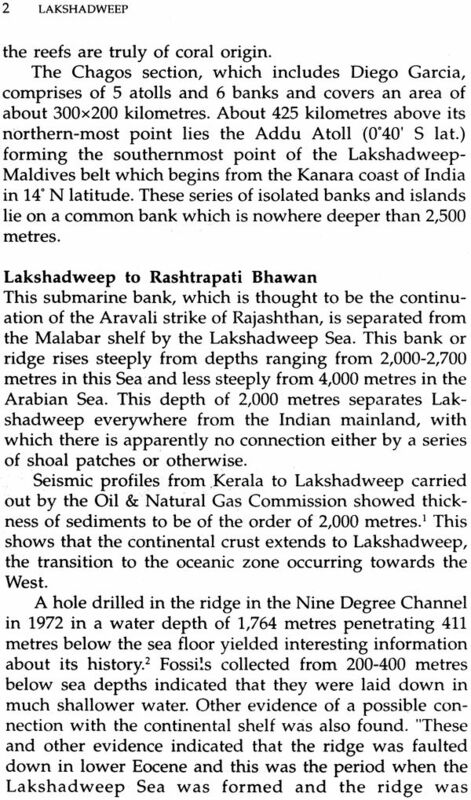 I was in Lakshadweep only for three years; but in this short period I saw the Union Territory 'grow' from a tiny 32 sq. kms to, first a couple of thousand and then, finally to a colossal three quarters of a million square kilometers. 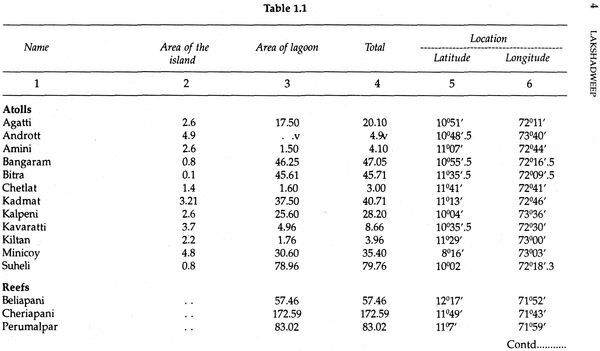 It is true that coral islands are 'growing' islands (the island area of Lakshadweep has indeed increased by quite a few hectares in the last century or so!) but the growth that I saw was in my own perception! The land mass of the 36 islands (Or is it more? Or Less? It all depends on the season and on the tide) is indeed a mere 32 sq. km .. ; but it doesn't take long to realize that this is so intimately linked with the lagoons around that it is meaningless to talk of one without the other. 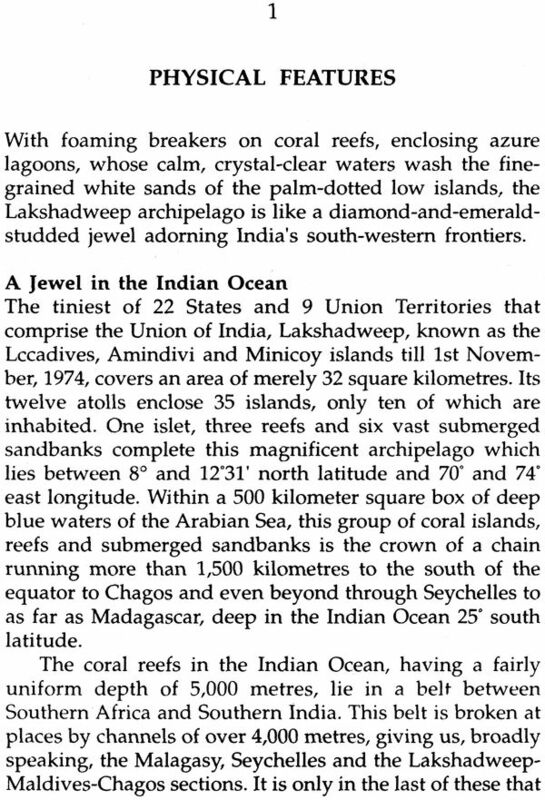 With this perception Lakshadweep grows almost sevenfold; the largest island, Andrott,suddenly becomes the smallest atoll! The next step in understanding this pehnomenon takes some time. As you squat on the sugar white beach enjoying the fishing boats go out to sea against the backdrop of the crimson sun, you realize that there is more to the archipel- ago of Lakshadweep than the area enclosed by the reefs; the deep blue open sea beyond, with its vast potential and challenge, is symbiotically linked. The area is now seen to cover the entire EEZ (Extended Economic Zone) of seven lakh square kilometres. 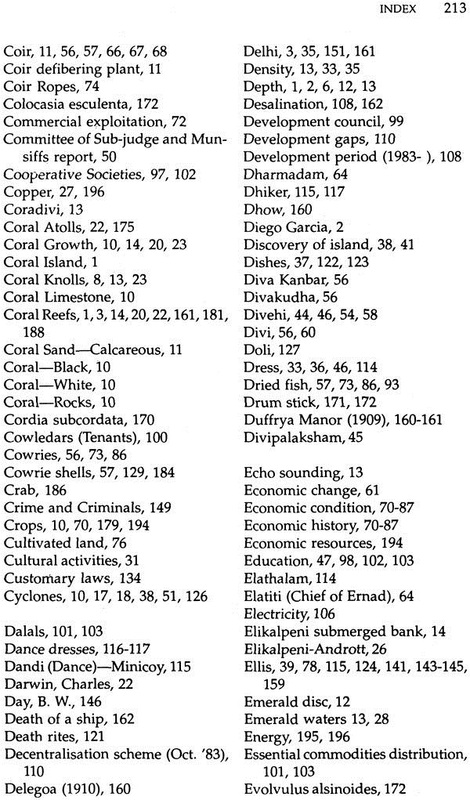 From being India's tiniest admin- istrative unit, Lakshadweep becomes its biggest! And, more difficult to perceive, the biggest drainer of Central resources (99% of budget subsidized) can become the nation's biggest contributor (25% of the GNP)! From bureaucratic Delhi, the perception of our farflung areas (and most Union Territories are such) is indeed blurred; they seem like small insignificant dots on the fringes of our vast subcontinent which too perforce have to be administered despite the many more important and onerous responsibilities of the Central Government. And that too by the same structure of bureaucratic rules and regulations! So it comes about that a doctor in one of the island Primary Health Centres, accompanying a critically ill patient on a specially summoned MI 8 helicopter (Air Force rules decree that no patient will be taken in the Air Force plane unless accompanied by a doctor) finds himself stranded for want of this sanction! When targets are fixed for other States it becomes imperative to fix targets for Lakshadweep as well. And by the same yardsticks! Thus it came about in 1983 that a target of planting 4,00,000 trees was fixed. 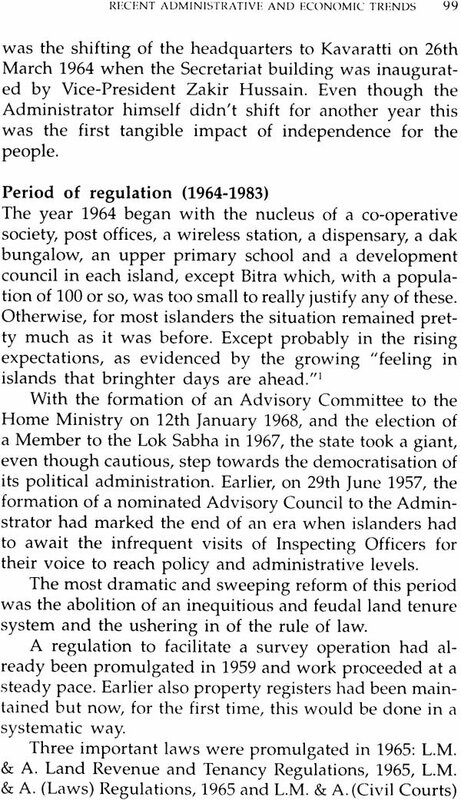 Did it really matter that not one inch was available for this purpose in the islands, aptly described by an earlier administrator as coconut gardens! So it is when it comes to application of norms. Water supply schemes were drawn for the tourist havens of Bangaram and Suheli. The norm for such a scheme in rural areas is 60 litres per head. Under the Census these islands are classified as uninhabited since they are visited only during the fishing season. Since their population was zero, anything multiplied by it would remain zero; so no water supply scheme was permissible. QED. Did it matter that during the fishing and tourist seasons (more than half the year) these would be more crowded than the so-called inhabited islands? 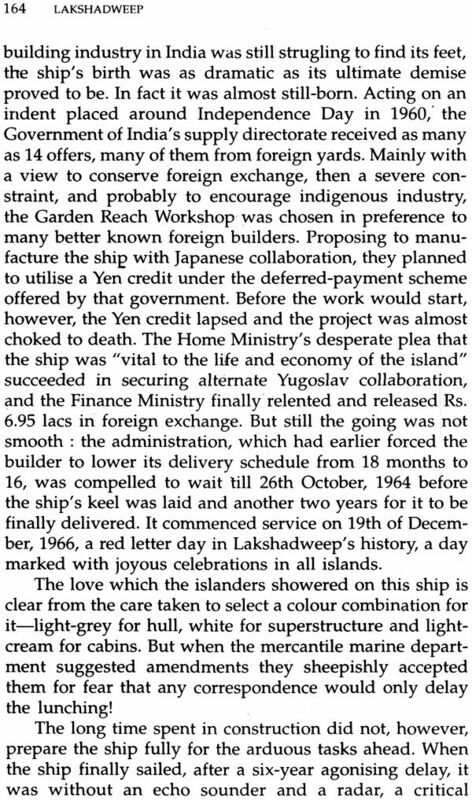 Such mulish reverence to rules, a hallmark of our steel frame, sometimes leaves you in a fit of tear-splitting frenzy; in one such moment, in a communication to the then Union Home Secretary, the diminutive T.N Chaturvedi, I christened myself as an FFO in an FFA (a Flag Flying Officer in a Far Flung Area). My outburst typified a situation in which, probably, the only power that one enjoyed was to occupy a building called 'Government House' and fly the national flag! The administrator of Lakshadweep is a Governor, Chief Minister, Chief Secretary and IG Police, all rolled into one; but with powers that even an Under Secretary will not envy! 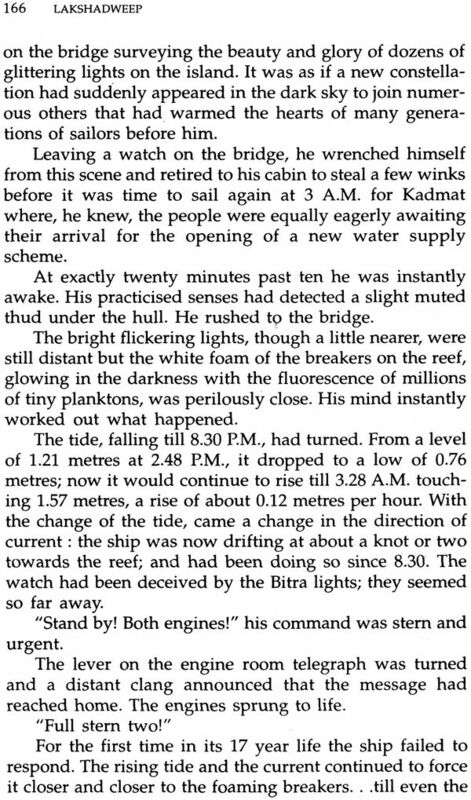 But as I signed Form GFR 17 at the Lakshadweep administration office, Harbour Road, Wellington island, Cochin on 21 July, 1982,signalling the change of guard in Lakshadweep, this handicap was not what was uppermost in my mind. For one, as an old hand of the Union Territories cadre, I well knew that the ACR (Annual Confidential Report) writing hand would scarcely be aware of what the rule- making hand had decided, making corner cutting and rule bending a much less forbidding enterprise than would otherwise be the case. 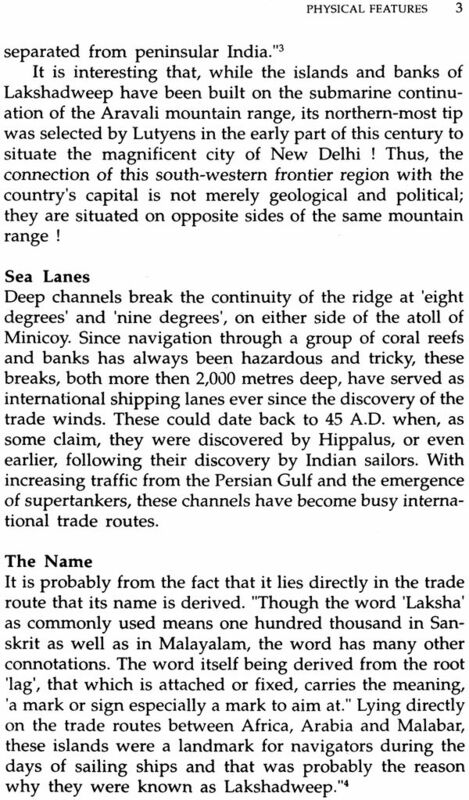 For another, the hazards of a voyage in the choppy and stormy Arabian Sea, presently being lashed by a fierce monsoon, which I would have to undertake in the next few hours, appeared much more imminent. M.V. 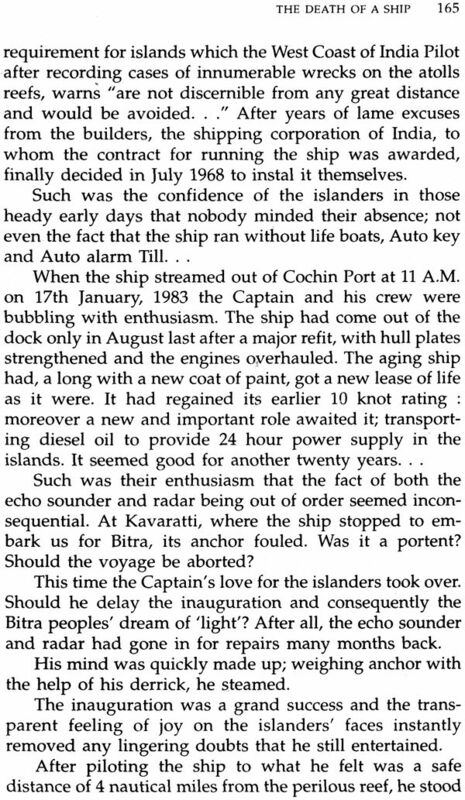 Bharat Seema was sparkling white as it awaited its maiden voyage to Lakshadweep. So was its Captain and Master.
. From the moment I stepped on to his ship, (the late) Captain T. Boaz Johnson started with his continuous harangue, "The sea is like a wild horse; tame it in the very first meeting, otherwise it will get you!" "Lakshadweep is nothing but the Koyas and the coconut trees!" "When the sea is rough and choppy walk like a duck with your feet spread well apart !" Next morning as I stepped on to the wildly swaying 'pablo' boat outside the Kavaratti lagoon, I was scarcely aware that we had been through one of the stormiest nights in living memory and that too 'on my well spread out feet' as it were! Much as one would like to believe to the contrary, 'wild horses' are never really tamed! This lesson was brought to my family almost met a watery death in the choppy waters outside the Kiltan lagoon when our boat entangled In the Dweep Setu's anchor, strung way up in the fore of the .ship, and all but capsized. As we hovered between the half overturned boat and the choppy sea, and death started us in the face in all its starkness and finality, the sea seemed the only truth and reality, which indeed it has always been to the islanders. The next 80 seconds or so and that's all that it took a brave sternsman to throw us a rope-must have been the longest of my life! But the most enlightening! 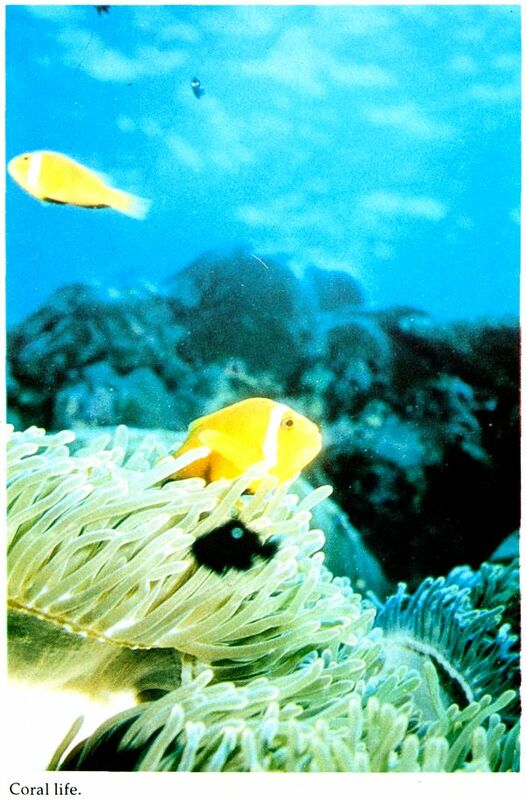 Every day I spent in Lakshadweep was a full 24 hours, with not more than 3 to 4 hours needed for the official routine. Thus I had time to indulge in everything-from deep sea fishing and skin diving to writing and even scripting and directing a couple of short films for the Films Division. Lakshadweep was love at first sight for me, and the torrid affair continues to this day. There have been many offsprings from this union; the present book is one and the Doordarshan docudrama, Sagarika, which I wrote and helped my wife to direct my stint in the islands. Even though some of the figures have since been updated, many momentous events that took place after I left have not been covered. The latest Councils and the Territorial Council. This event is comparable in significance to the shift of the headquarters to Kavaratti on 26 March, 1964 and the inauguration of the subdivisional setup on 2 October, 1983. I hope the apprehensions that many of us had, and which many continue to harbour to this very day are proved to be unfounded. As Island Development Authority too has since been set up but, like many of the steps taken for the benefit of these far-flung areas, this too shows little is our perception of their real problems! In a territory, whose land area is a tiny proportion of its total 'economic potential area', one would have thought a Sea Development Authority would be a more appropriate institutional arrangement in fact it was for such a body that I campaigned so hard throughout my stay. A body like the one now set up while failing to achieve much could result in effectively shifting decision- making 3,000 kms. away to Delhi. This could surely not be the intention. As one would have thought, funds earmarked for development are keeping pace with the requirements, as much as Rs. 500 million have been provided for the year 1990-91. While, expectedly, transportation takes a lion's share of the outlay (45%), increased funds have been provided for the other sectors as well. These increased allocations have led to many other important developments-STD in many islands, home TV, Vayudoot, a new ship, MV Tipu Sultan, more speed boats. One thing is for sure; the rigour of life in the islands is easing up, bit by bit. The present book has been written with the intention of closing both the information and the perception gaps that exist in relation to Lakshadweep. 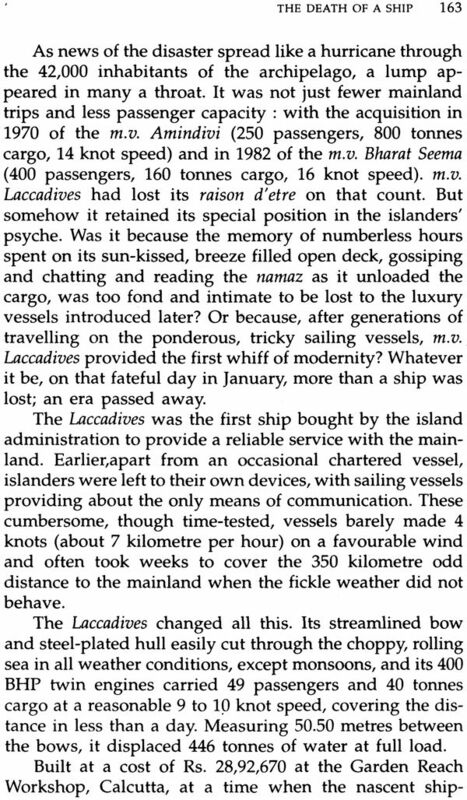 It is not that literature relating to this island territory is nonexistent ; in fact, one of my predecessors wrote a book a couple of decades ago. 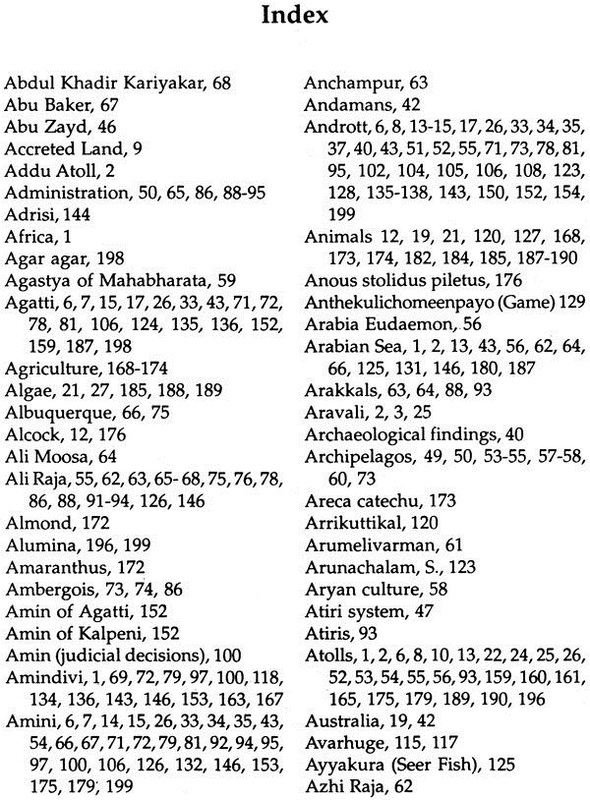 But this book is probably the most comprehensive of the works to have appeared so far. It is a mix of compiled information, collated facts and some extensively researched conclusions and premises. While undoubtedly there are certain gaps-and I am quite conscious of them-the book in many ways is a vast storehouse of information which, while being of interest to a general reader, could occasionally be of some use to the expert as well. 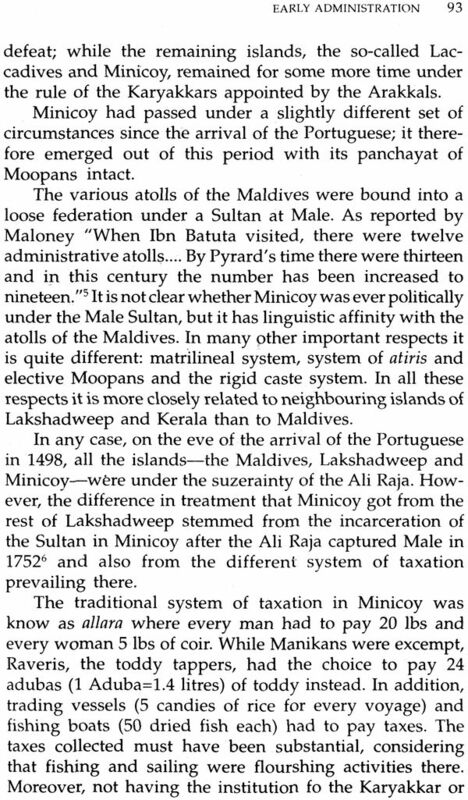 There are many popular beliefs on Lakshadweep and its name, its origin, about how and when it was inhabited, about Female islands, its religion.My researches have favoured some of these and not many others. Being human, I admit I could be wrong and holes in the theories of many of my illustrious peers. I have taken many liberties in my writing; whenever there was a choice in presenting a hard fact or giving it up to maintain the readability and flow, I have let go of the cold statistics. Similarly, to many, the detailed mention of practices that are fast dying out may seem unnecessary, so will the mention of legends. 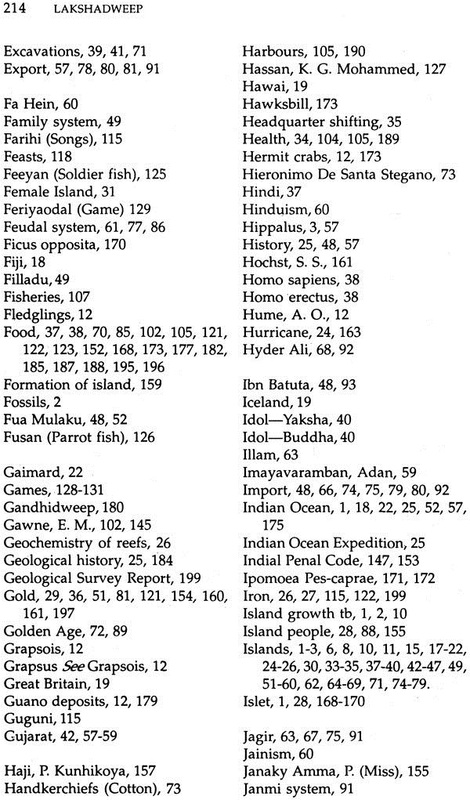 But I have kept them for two reasons: one, it is important to catalogue them now before they become extinct; and two in areas like Lakshadweep it is often very difficult to distinguish legend from fact. In any case, for a proper understanding of a people legend is no less important than the so-called fact. 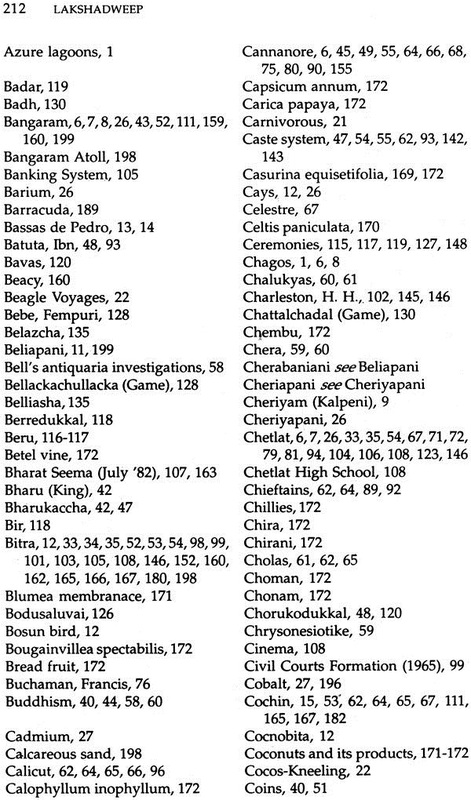 I must admit that a large number of Island people, too numerous to mention here, have contributed to the making of this book. The first and foremost of these is the six- time Member of Parliment from Lakshadweep. PM. Sayeed. I must admit, though, that I learnt of the island psyche as much from him as from his four-time opponent, K.K. Mohammed Koya! I'll name only a few of the rest: U.CK. Thangal, K.C Shoukth Ali, K. Cheriyakoya, Badai Assainar. A special mention must be made of P.K.M. Kutty, my personal assistant, who not only took great pains to type the manuscript but was always a storehouse of information about men and matters. So was T.CC Nambiar of the Cochin office.